Aww, love this outfit on you! That hoodie is so awesome!! Ahhh that is the cutest hoodie ever!! You look so cute! Super cute! The bat wings are adorable! YES I love the wings! 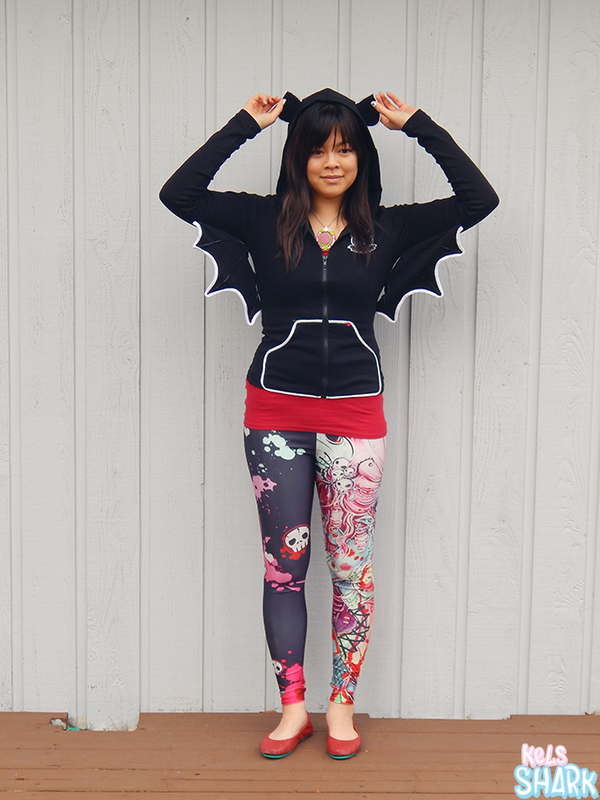 Whoa, that hoodie is awesome, and that's so cool that the wings are detachable! 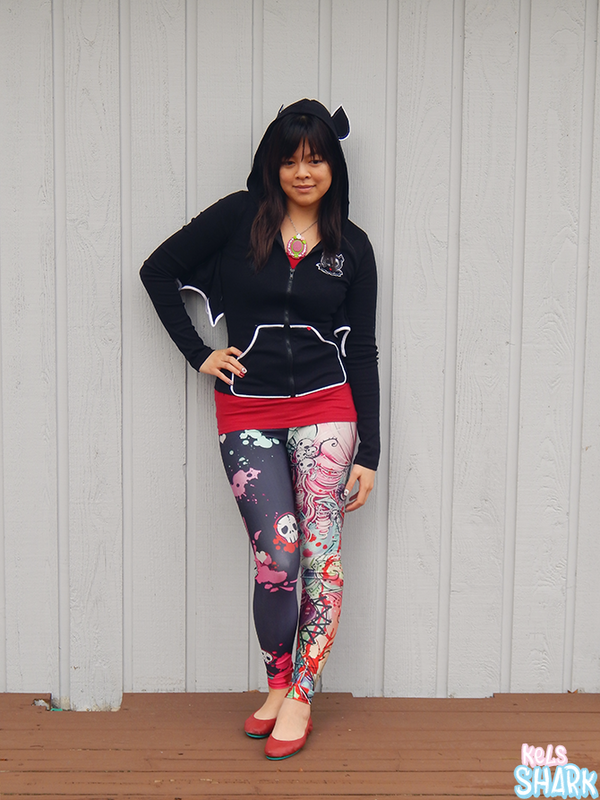 I love the leggings too. Thanks, Adam! 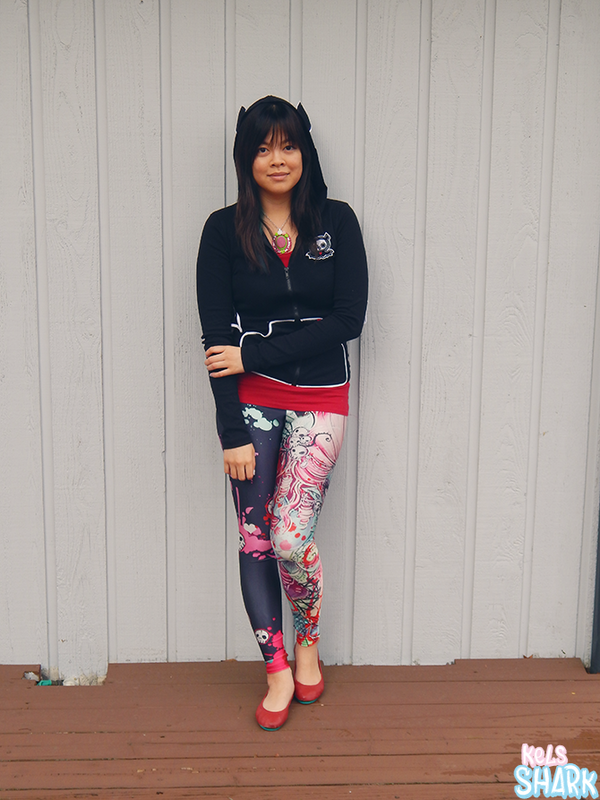 Love Wild Bangarang leggings! You say that a lot, Angie, but I bet you could pull off anything you wanted to! I feel like I need that sweater in my life! So awesome! Well if this isn't awesome, I'm not really sure what is!